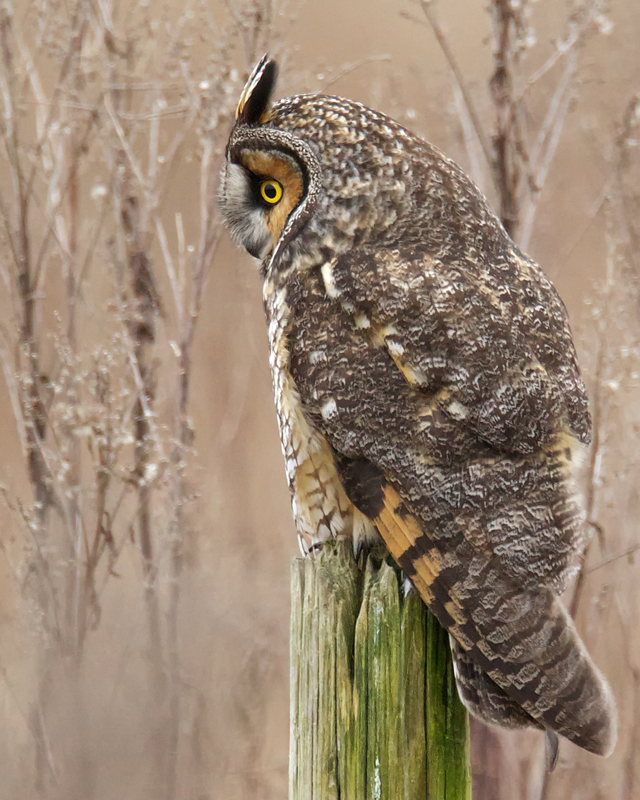 An unusual daytime Long-eared Owl gave photographer Gregg Thompson a nice view of its pronounced facial disks. This bird was photographed near Vancouver, B.C. Learn more about how an owl hears (hint: those facial disks help a lot). See another picture of this owl and listen to shows about Long-eared Owls.